Go to “Control Panel” and click on “System and Security”. 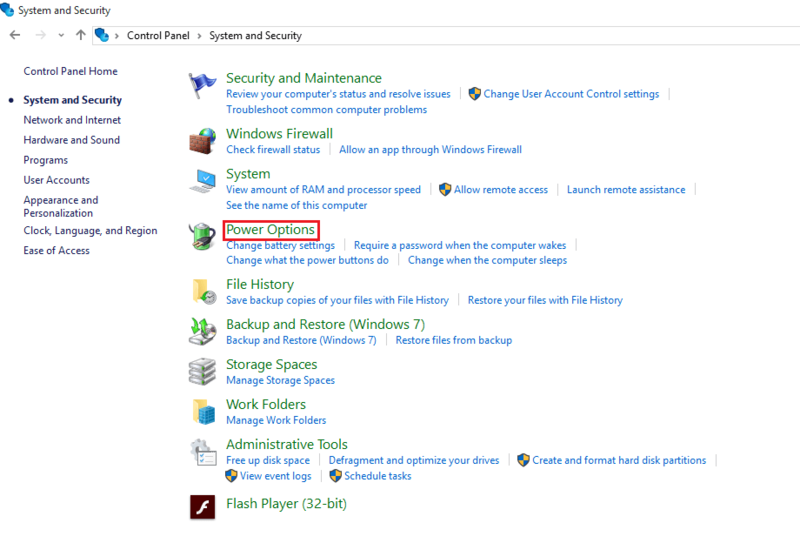 Now, click on “Power Options” to open the Power Plan Window. 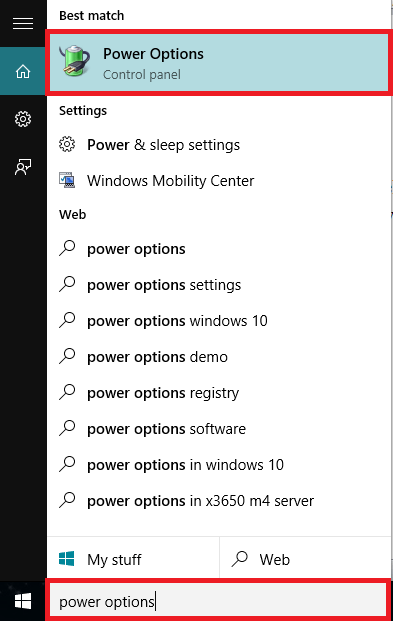 Alternatively, Power Options can be accessed through the Windows Search bar. For this, Enter “Power Options” in the Search bar and click on the first option. Click on “Create a Power Plan” on the left sub menus option. Now, you can choose from “Balanced”, “Power Saver” and “High Performance” as required. You can choose a custom Plan Name for the Power Plan. After creating the “Plan Name”, click on “Next”. 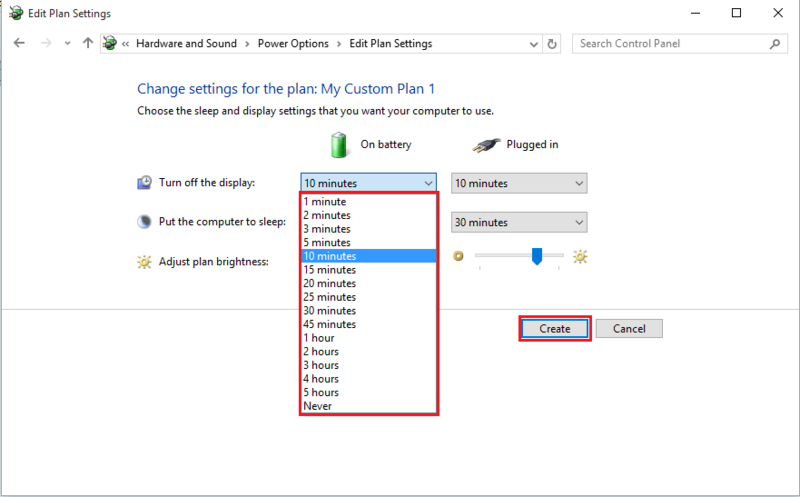 This setting defines that “you can choose the sleep and display settings that you want your computer to use”. 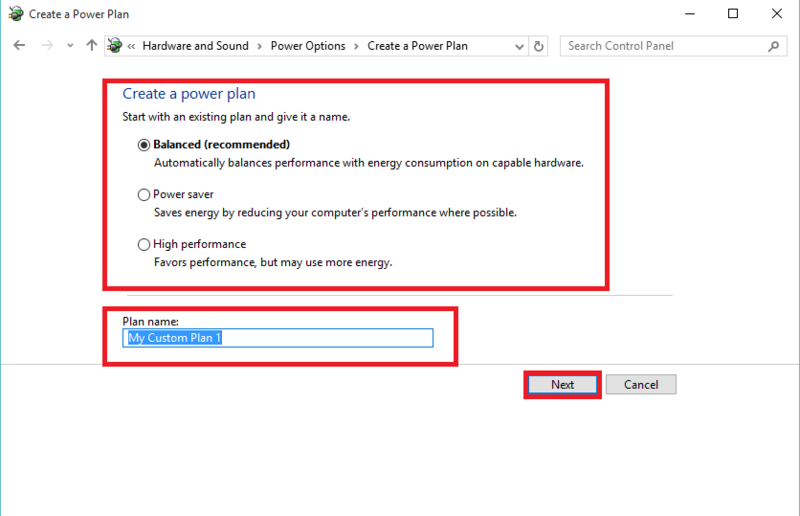 The settings of “turning display” “put the computer to sleep” and “Adjust plan brightness” can be customized by the user in the custom power plan. After adjusting these settings, click on “Create” button. 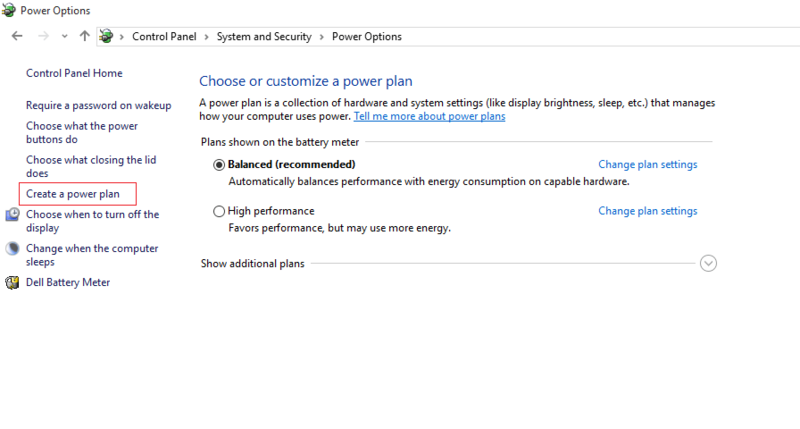 After clicking on “Create” button, a new Power Plan named “My Custom Plan 1” is made successfully.